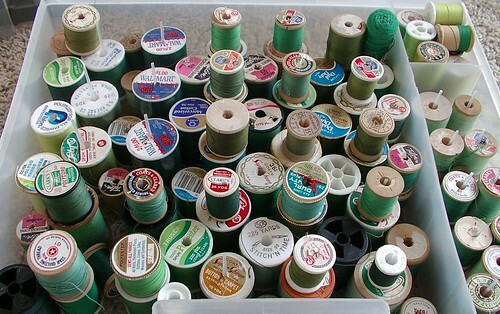 The above threads are all new as of yesterday to me. 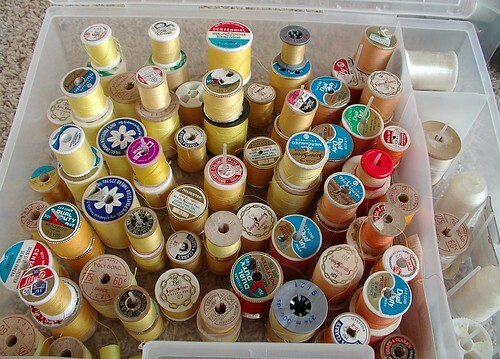 But they are all old silk button hole threads most are on wood spools but not all. 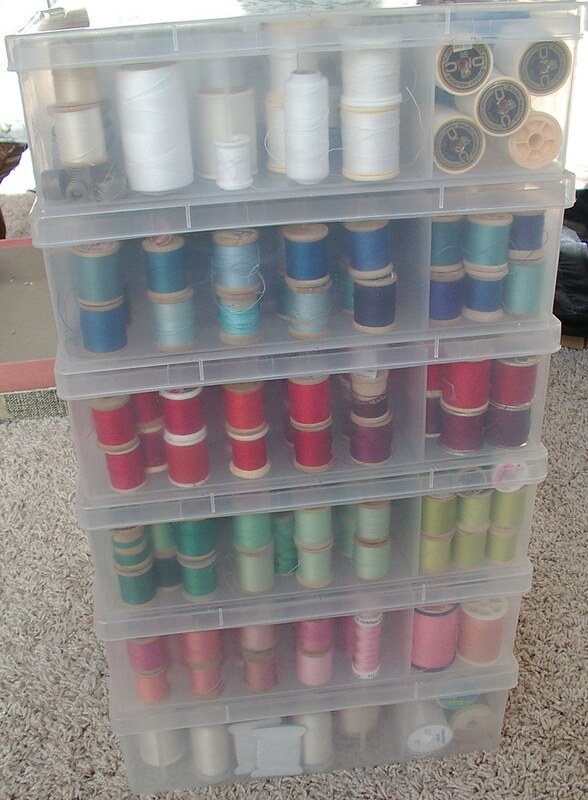 Above my storage boxes for normal threads. 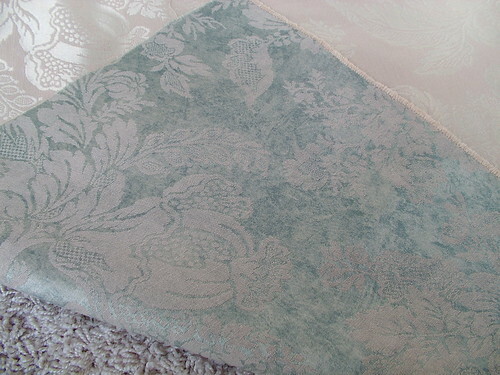 I returned the afghan I repaired to its owner yesterday. She loved the repair job. I did show her that the repairs are still visible if you look for them. 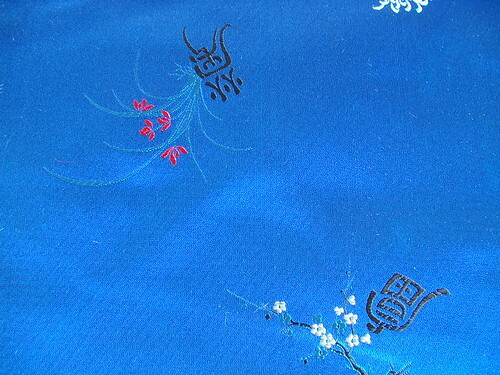 But in general repairs don't show if you are just glancing at a piece which is what most people tend to do. 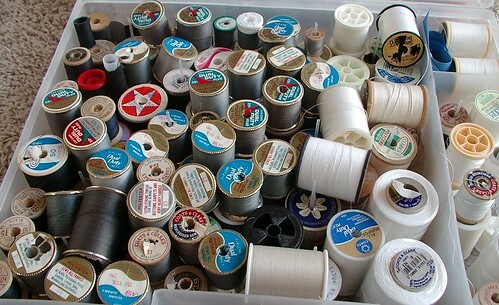 She asked if I would like some thread she had received and some silk fabrics and a hide (I believe she got all from her grandmother). 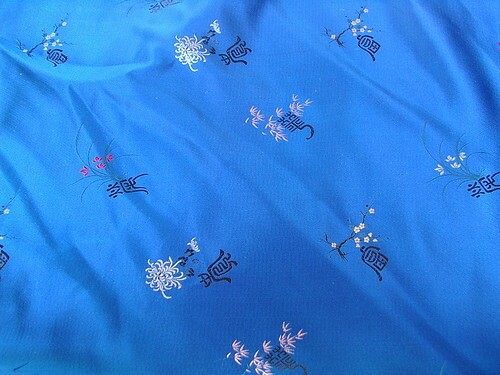 The threads are silk button hole thread and others too. 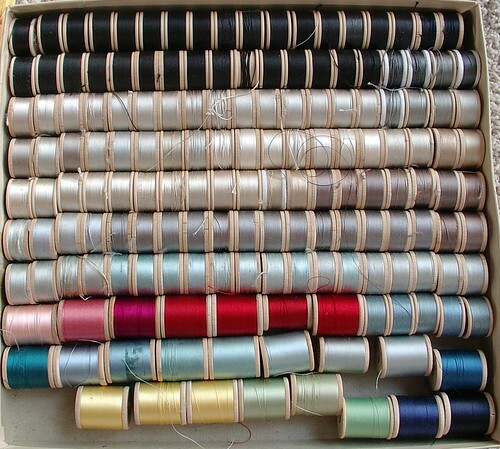 I didn't have my camera yesterday to take a picture and I had already stored them with my other threads by the time my husband got home with the camera. I just decided I would show the old and new threads together. You can just enjoy all the colors. Below are my old threads mixed with the new (vintage) threads from yesterday. 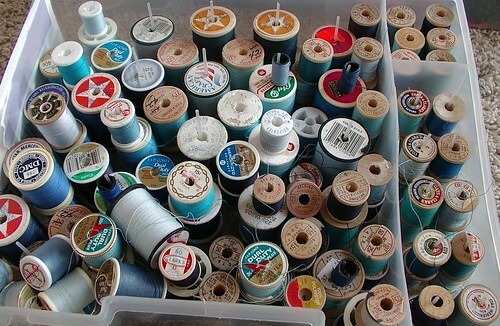 I guess I have a collection of threads. 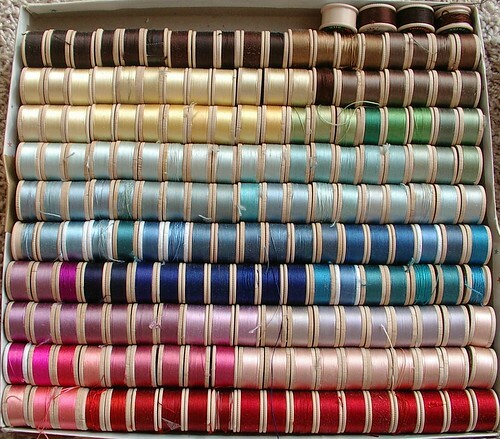 But it is always nice to just be able to grab the correct threads with out having to go to the store to find the right color. 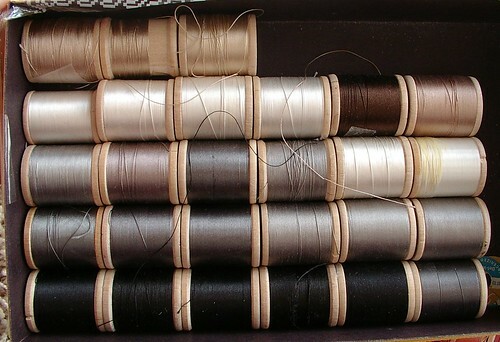 Some are cotton, poly, some a mixture of cotton and poly, mono-filaments, stretch threads, and nylons .... just a wide variety. 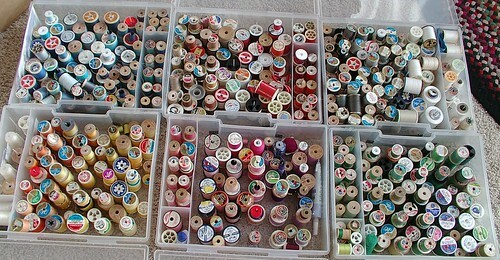 Lots are on wood spools. 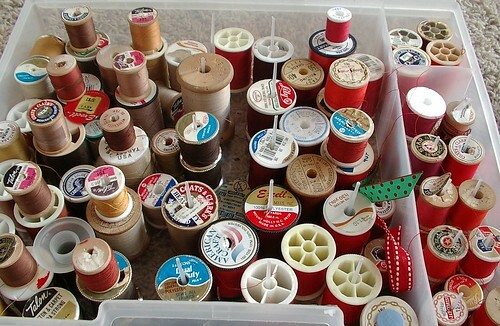 I keep the wood spools in time I hope to carve on them. 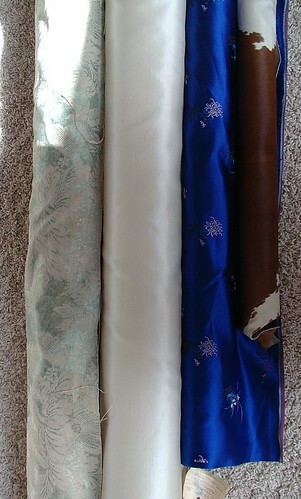 This is the fabrics she gave me. She also got the Irish crochet tam I made a few weeks ago. I am glad as she likes hat and wears them a lot she said. So since it was something I debated on keeping or selling I am glad it went to a person who loves hats and will use it. 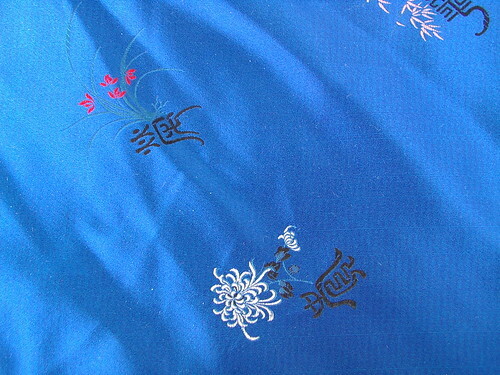 Blue oriental silk over 6 yards. 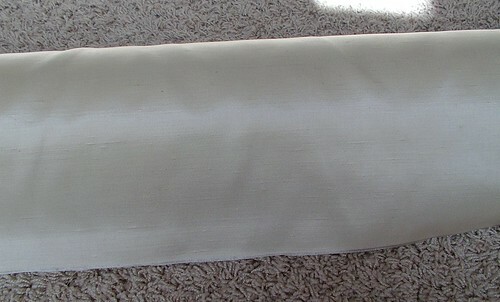 Cream acetate rayon blend looks like raw silks not sure how many yards but I think it is over 16 yards. 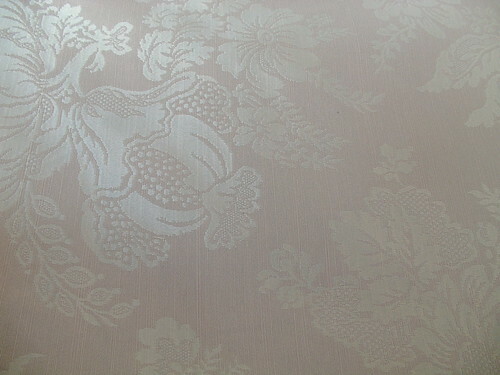 Jacquard cream and green 16 yards. 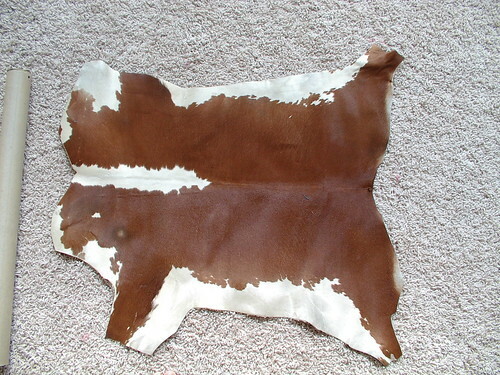 This is the calf hide she gave me too. In time I will use this for the cover of some hand made books. Oh wow...I am drooling over here. I have a serious case of envy going on. Glorious photos! What a wonderful collection and score! 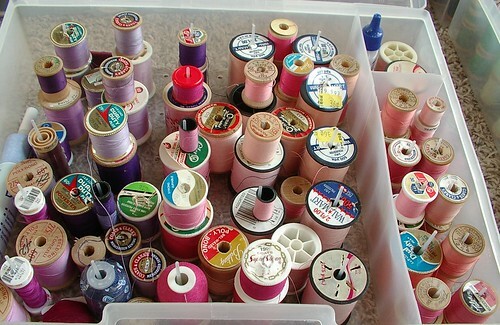 How inspiring it must me to look at all that thread together. Oh! Very pretty! Gorgeous colors!